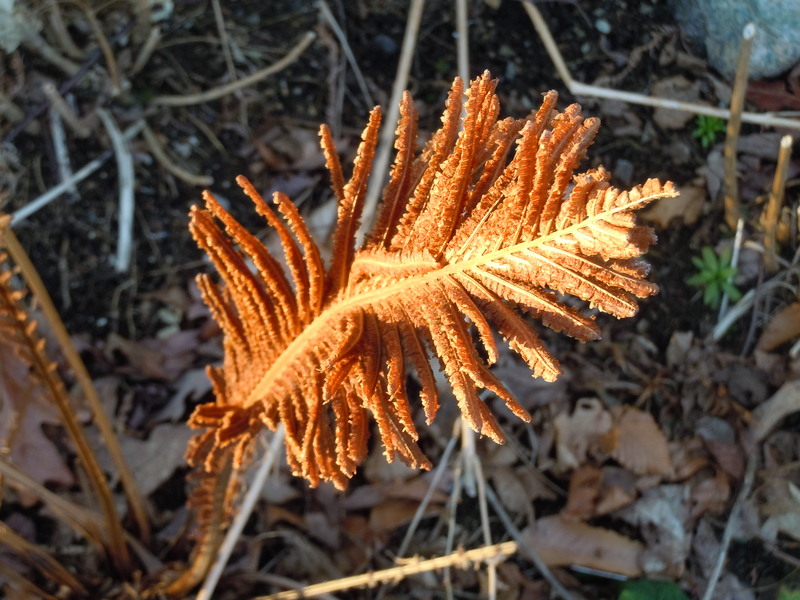 Garden blogging in February takes more than a little imagination and inspiration in the Northeast. Though this has been the Winter not arriving, my walks around the garden have been few. So early this evening, I threw on a warm jacket, walked around the property. A glowing evening, but a soft glow of golds and browns and silvers…. The pond glows with the reflected setting sun and the river birch seem to absorb the same glow. Ferns bend with a rosy brown posture. 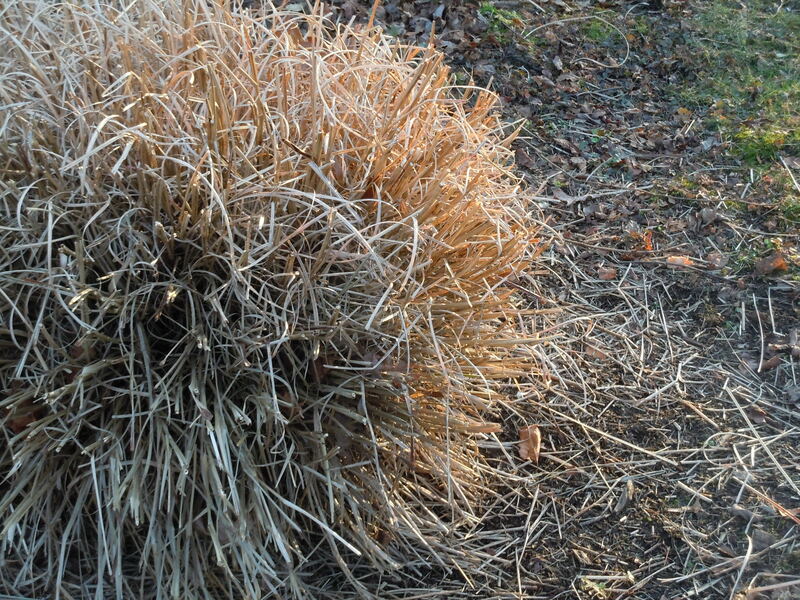 The grasses have been cut back in anticipation of new growth. 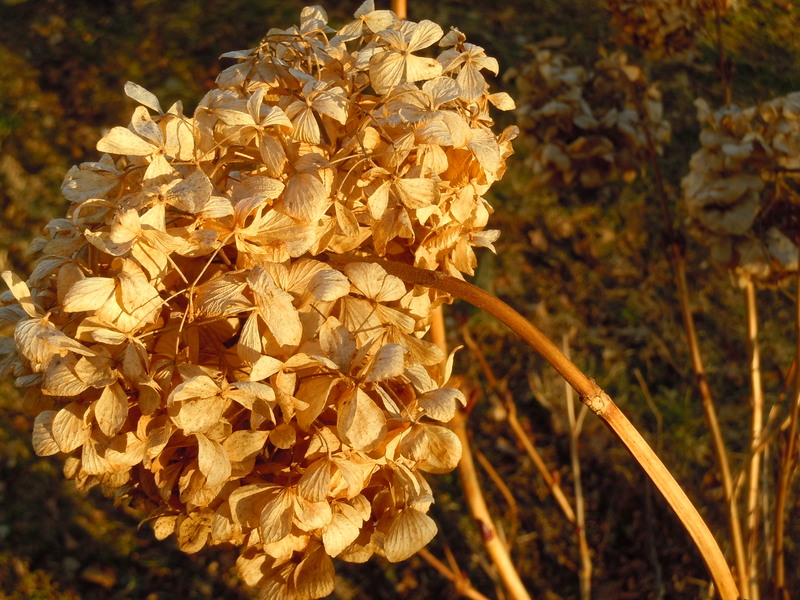 Hydrangeas reveal papery cast offs but feel the warmth in their branches; life will return there soon. I look for the sight of a bird with an angel on wing, or wild animal who hesitates with a meaningful slow gaze in my direction. Some sign that he knows I come outside to feel his spirit, to reckon with this year of being alive in the world without him. Looking for Mother Nature to quell my angst over his two year struggle with Alzheimers? The struggle ended last year. 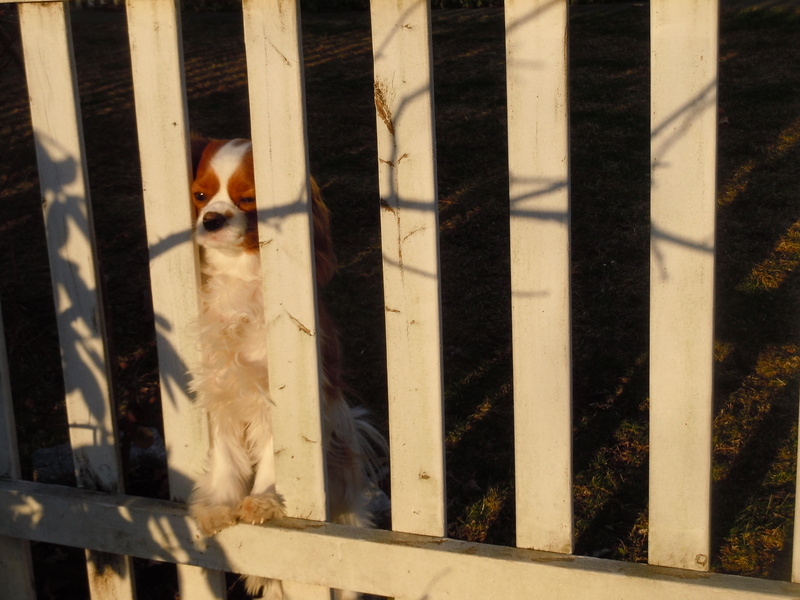 The look in a small dog’s eye who searches beyond, where I look too. The shadow of a branch falls against the heart. Where has he gone? What part is still here? 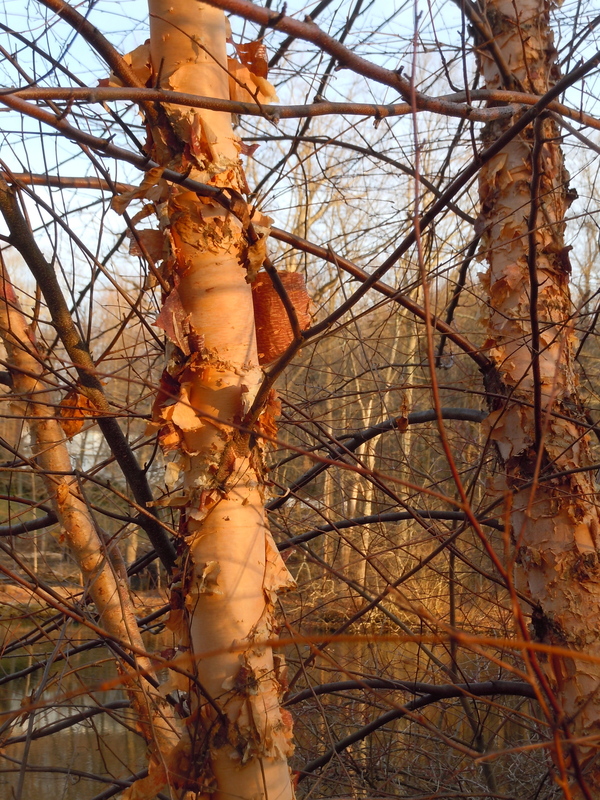 This entry was posted in Uncategorized and tagged Alzheimers, evening, river birch. Bookmark the permalink. Oh my goodness, this one went straight to my heart. Bless you, Jayne. I hope that nature comforts you in this hard year of ‘firsts’. A beautiful and sad post – hope this year is better for you. I’m so sorry you’re hurting. There are no answers. When my son died, I often saw dragonflies. Now I think of him each time I see one. I hope you find peace. I wish that I could convey how much this post means to me. I walk with you on these golden afternoons, feeling the pain, searching for signs. He taught us to value the natural world – perhaps his greatest gift of all. I feel him all around me.